*Filter your existing tap water & save! *Much cheaper than bottled water! *Environmentally friendly! *Connect to your main water outlet for continuous supply! 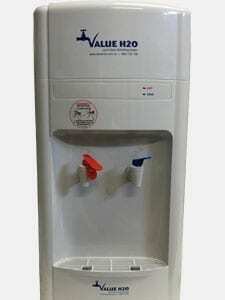 Value H2O has a range of office water coolers and dispensers to suit every type of business. Small office with only a few staff? Or a larger organisation with high volume drinking water requirements? 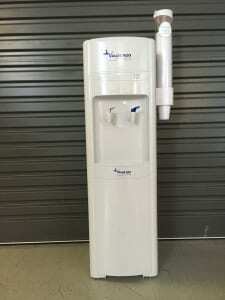 Whatever type of business you have, we certainly have an office water cooler and dispenser to suit your needs. 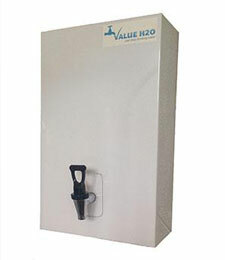 Value H2O office water coolers and dispensers come in a range of options. They all deliver freshly filtered drinking water, chilled (or not), that is free of lead, chlorine and other harmful impurities, without the need for bottles. 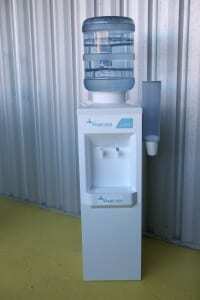 Choose from refillable free standing office water coolers and dispensers with a reservoir refillable from your own tap. We also have models that are plumbed in, directly connected to your mains water supply. Our office water coolers and dispensers turn your existing office tap water into an endless supply of filtered office drinking water. Most of our office water coolers have a choice of cold only or hot & cold water options available. 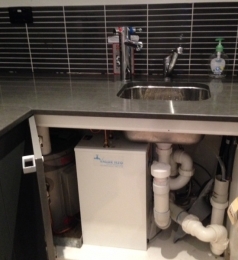 There’s also smaller benchtop water coolers if floor space in your workplace is an issue. Our range of office water coolers and dispensers includes under sink water systems with boiling or cold water options. Similarly, we also have instant hot water taps and wall-mounted boilers that deliver endless boiling water for staff rooms, tea rooms and office kitchens. For high volume usage we offer water bubblers & drinking fountains which are ideal for factories and building sites. Because our office water coolers and dispensers are bottle-less water coolers, Value H2O water coolers and dispensers are more economical for your business than spring water. Furthermore, they are more environmentally responsible than conventional bottled office water cooler and dispenser systems. All our office water coolers and dispensers use hi-tech carbon filters to ensure that your office drinking water is the best tasting and of the highest quality. All Value H2O office water cooler and dispenser systems can save you up to 70% of the cost of bottled water and spring water supplies and our low, fixed cost rental options include all maintenance, regular sanitising, filter replacement and thermostat check. Need cups for your office water cooler ? Our refillable water coolers and dispensers have a unique refillable reservoir. Unlike conventional office water coolers and dispensers, there’s no need to change the bottle! Just refill as required direct from your tap for a continuous supply of pure & clear, freshly filtered water. Our contemporary-styled plumbed in office water coolers and dispensers are ideally suited to heavier use environments. They have easy to clean surfaces and connect directly to your mains water supply so you never run out of fresh, clear, filtered water. Our benchtop office water coolers and dispensers are the perfect solution for when floor space is limited. They are sleek and modern compact units that connect directly to your mains water supply to provide a constant supply of fresh, clear, filtered water. Get instant hot water at your fingertips, and every drop is filtered! Our wall mounted boiler units are compact, energy efficient and fully automatic. They save space, time and money. No more filling the hot water urn or waiting for the kettle to boil. Perfect for office kitchens and staff rooms. We also have a range of instant hot water taps. Our filtered water bubblers & drinking fountains connect to your main water supply to give a continuous flow of chilled filtered drinking water. They are perfect for schools, construction sites, hospitals, factories and other heavy use environments. 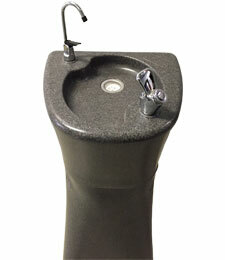 Filtered water bubblers & drinking fountains are 10 litre capacity, hardwearing and non-drip. Our combined boiled and chilled under bench system is the latest innovation in under sink water systems. It provides unsurpassed quality in the delivery of both boiling hot and refreshingly chilled drinking water seamlessly at the touch of a button. Being largely out of sight, these units are perfect for areas where space is limited.